BEIJING (Reuters) – Attackers wielding knives killed 13 people in Uyghuristan region before police shot seven of them dead, the government said, in the latest violence to strike the ethnically divided northwestern area. The Uyghuristan government said the killings on Tuesday night occurred on a busy pedestrian street in Yecheng County near Kashgar, a city in the south of Uyghuristan that has been beset by tension between the mainly Muslim Uighur people and Han Chinese. “Nine violent terrorists suddenly surged into the crowd and stabbed to death innocent people with their knives, causing 13 innocent people to die and injuring many,” it said in a statement on official news portal http://www.tianshannet.com. “Police rushed to the scene, handled the situation with resolution and shot dead seven violent terrorists, capturing two,” it added. Yecheng, also known by its Uighur name of Kargilik, is close to the disputed region of Kashmir, which is partly controlled by India and partly by Pakistan. 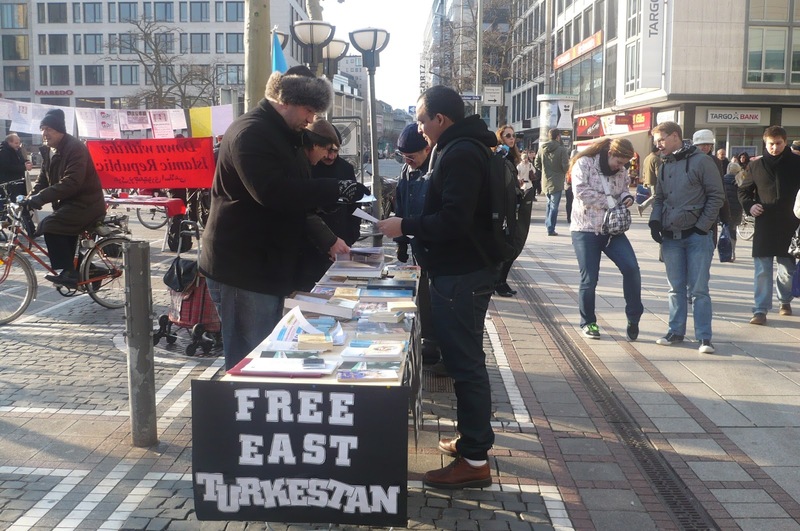 China has blamed earlier incidents of violence on religious hardliners who want to establish an independent state called East Turkestan. Some Chinese officials have also blamed attacks on Muslim militants trained in Pakistan. But exiled Uighur groups and human rights activists say China overstates the threat posed by militants in Uyghuristan , which sits astride south and central Asia. 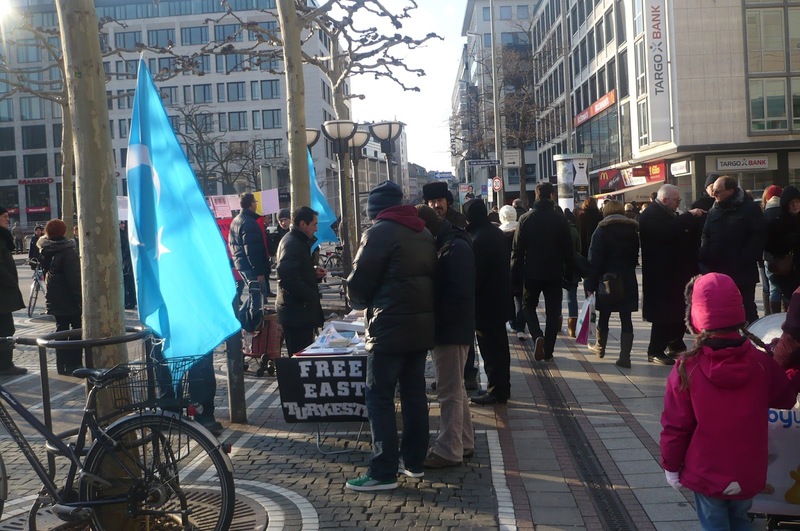 “China’s demonstrated lack of transparency when it comes to unrest in East Turkestan necessitates deep speculation of official Chinese claims,” Uyghur American Association president Alim Seytoff said in an emailed statement. Chinese Foreign Ministry spokesman Hong Lei said the Yecheng incident should not be overblown. Security expert Li Wei was quoted as saying in a separate Xinjiang government statement that such incidents did not mean China was in danger of losing control. Uighurs account for just over 40 percent of the region’s 21 million people. But they are the majority in Kashgar and other parts of the region’s south and many chafe at government controls on their culture and religion. The Global Times, a tabloid published by Communist Party mouthpiece the People’s Daily, cited experts as saying that Yecheng was in the front line of China’s campaign against militancy because of its location. “Over recent years it has had rather a large number of bad incidents and is an important area for maintaining stability in Uyghuristan ,” Tuerwenjiang Tuerxun of the Uyghuristan Academy of Social Sciences said in a report on the paper’s website. “It is close to the border, has been quote shut-off and remote for a long time, and is also quite a sensitive place,” he added. In July 2009, Uighurs rioted against Han Chinese residents in Urumqi, the capital of Uyghuristan . At least 197 people were killed, most of them Han, according to official estimates. In January, authorities said that seven people killed by police in Uyghuristan had been trying to leave the country to wage “holy war”. 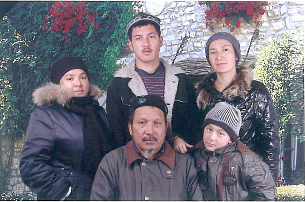 In September 2010, courts in Uyghuristan sentenced four people to death for violence in two cities in which 32 people were killed. The government sees Uyghuristan as a bulwark facing the predominantly Muslim countries of central Asia. The region, with a sixth of the country’s land mass, is also rich in natural resources, including oil, coal and gas. 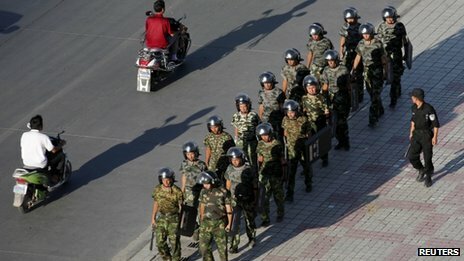 Chinese state media says 12 people have died in riots near the north-western city of Kashgar in Uyghuristan. Xinhua news agency reported that rioters killed 10 people, while police shot dead two of the rioters. Tuesday’s violence took place just after 18:00 in a market in Karghilik county, about 250km south-east of Kashgar, according to Xinhua. The report said that police were still searching for the rest of the “violent mob”, who the report said had been armed with knives. One local newspaper called the attackers ”terrorists”, saying that they were engaged in criminal activities, reports the BBC’s Michael Bristow in Beijing. A report in the state-controlled Global Times cited a local taxi driver as saying ”the city remained calm”. 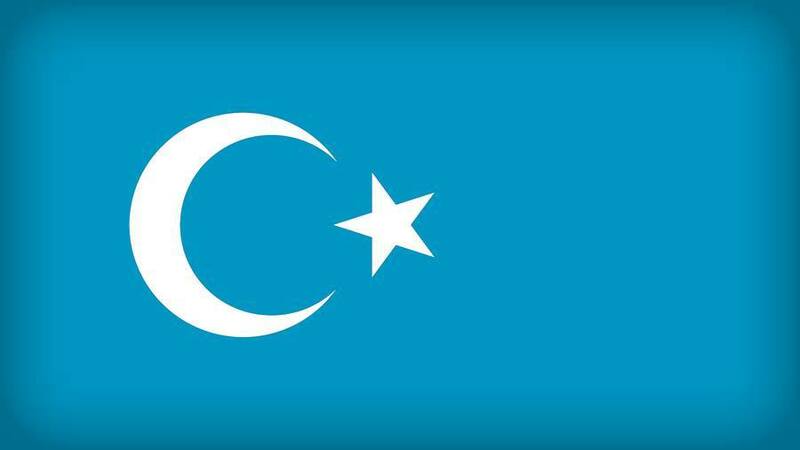 A spokesman for the World Uighur Congress, a German-based exile group, said 84 people had been detained and authorities had closed off all exits and entries to Karghilik, citing local sources. The search terms Karghilik and Kashgar appeared to have been blocked on China’s twitter-like weibo microblogs. Almost half of Uyghuristan’s residents are Uighurs, Turkic-speaking Muslims with cultural and ethnic links to Central Asia. China has invested heavily in Uyghuristan and the region’s rich oil and gas deposits are vital to its booming economy. Uighur allegations of discrimination and marginalisation have been behind anti-Han and separatist sentiment in Uyghuristan since the 1950s. A hostage-taking incident in December led to the death of seven kidnappers – part of a “terror gang”, according to Chinese state media. China claims it faces an organised terrorist threat from radical Muslims in Uyghuristan , but Uighur activists say citizens are angry at Beijing’s heavy-handed rule in the region. Authorities announced earlier this month that 8,000 policemen will be recruited for the region in a bid to increase security. The plan would be to station at least one officer in each village. Bundin 20 yıl önce, 25-26 Şubat 1992 tarihlerinde, Ermenistan ordusu Azerbaycan’ın Karabağ bölgesindeki Hocalı kentinde sivil, kadın, çocuk, yaşlı ayrımı yapmadan 613 kişiyi en ağır işkenceler uygulayarak katletmişti. 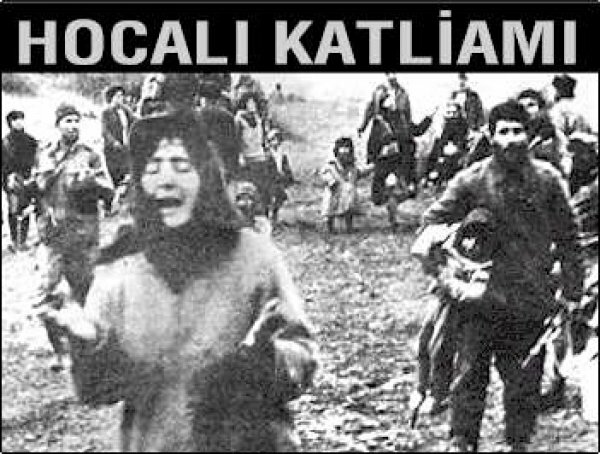 Katledilenlerin 63’ü çocuk, 106’sı kadın ve 70’i ise yaşlıydı. Bu katliamdan toplam 487 kişi ağır yaralı olarak kurtulmuş, 1275 kişi rehin alınmış, 150 kişi ise kaybolmuştu. 26 çocuk tamamen, 130 çocuk ise kısmen öksüz kalmış. Kuşatma altındaki insanların çoğu acımasız yöntemlerle öldürülmüş, uluslararası kuruluşlar ve dünya medyası olayı insanlık dramı olarak nitelendirmişti. Azerbaycan’ı bu haklı mücadelesinde yalnız bırakmamanın bir görev olduğunu düşünerek, aradan 20 yıl geçen bu katliamda hayatlarını kaybedenleri anıyor ve Alla’dan rahmet diliyoruz. Beijing Targets ‘illegal’ religious activities but is warned of a backlash. Chinese authorities in the troubled northwestern region of Xinjiang have launched an ideological campaign amid ethnic tension between the Muslim Uyghur ethnic group and the rapidly growing Han Chinese migrant population, official media reported. The campaign will focus on preventing “illegal religious activities” through the use of “patriotic education,” the ruling Chinese Communist Party mouthpiece, the People’s Daily, reported on its website. The campaign, titled “Modernization and progress week” was formally launched by the Xinjiang regional Party committee on Wednesday, with the aim of spreading the message about Party policies on ethnic minorities and religion, the report said. China’s Muslim Uyghurs, a Turkic-speaking ethnic minority that has long chafed under Beijing’s rule, have their practice of Islam tightly regulated by the ruling Communist Party, which bans children from mosques and controls everything about their worship, from the wording of sermons to “approved” interpretations of the Quran. A resident of Xinjiang who declined to be named said relations between Uyghurs and the huge influx of Han Chinese migrants were still very tense in the wake of massive ethnic violence in Urumqi in July 2009 and a string of attacks and violent clashes elsewhere in the region last year. “This won’t do any good, because the more they do this sort of propaganda, the more of a backlash there will be,” the woman said. She said that while a small proportion of Uyghurs had seen an improvement in their living standards since the economic migrants arrived, boosting the resource-rich region’s economy, this was nothing compared to the growing wealth of the migrant Han Chinese. June Dreyer, professor of politics at the University of Miami, said she found it hard to understand how the Chinese authorities believed that yet another campaign would have any effect. “Given the situation in Xinjiang today, people are probably going to be forced to listen to this propaganda, but that doesn’t mean they’ll take it seriously and act on it,” Dreyer said. Previous campaigns in Xinjiang have targeted Uyghurs who wear veils or beards, groups who meet to discuss the Quran in private, and Uyghur children or state employees who fast during the holy month of Ramadan. Last year, Beijing ramped up security before and during for the five-day China-Eurasia Expo trade fair in Urumqi. The added security measures came in the wake of separate attacks in the Silk Road cities of Kashgar and Hotan that killed more than 30 people in July. Exile Uyghur groups say the authorities launch house-to-house raids in “strike hard” security campaigns every three months in Xinjiang, targeting Uyghur households in the middle of the night, and detaining anyone found in possession of religious material deemed unacceptable by Beijing, as well as photos, writings and DVDs featuring exiled Uyghur dissident Rebiya Kadeer. Reported by Xi Wang for RFA’s Mandarin service. Translated and written in English by Luisetta Mudie. 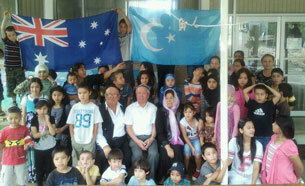 Türkiye tirakiye uniwérsitéti türk til edebiyati bölümining sabiq bashliqi, hazir dem élishqa chiqqan proféssor doktor sultan mehmut ependi xanimi bilen jenubiy awstraliye uyghur tili mektipini ziyaret qildi. Milliy rehbirimiz Ahmet Igemberdi we Doktor sultan mehmud Qeshqiri jenubiy awstraliye uyghur tili mektipini xanimi bilen birlikte ziyaret qildi. 2012-Yili 4-Féwral, awstraliye. «Awstraliyige kélish bilen hemme sheherlirini körduq hem türkistanliq qérindashlirimiz bilen körüshtuq. Ularmu nahayiti qizghin qarshi aldi. Men uningdin nahayiti xursen boldum. Bu yerde bizning sherqiy türkistanning her yéridin, her wilayetliridin kelgen péshqedem mötiwerler, yashlar, orta yashlarmu bar iken. Yashlar nahayiti yaxshi yétiliwétiptu. Awstraliyige kelgendin kiyin men aldi bilen bu türkistanliqlarning gheyret qilishi bilen échilghan meschitning ichilish murasimigha qatnashtim. U yerde nurghunlighan qérindashlirimiz bilen uchrashtuq. Démek bu awstraliye türkistan jemiyitining shu gheyriti bilen, bu yerdiki islam jemiyitining yardimi bilen bir chong meschit bizning sherqiy türkistanliq qérindashlirimiz üchün meydangha keptu. U yerde namaz oquduq. U murasimlargha qatnashtuq. Uningdinmu nahayiti hayajanlandim.Mana bügün awstraliye türkistan jemiyitining gheyriti we bu yerdiki tégishlik orunlarning yardimi bilen qurulghan bir mektep bar. Biz 92-Yili türkiyide anglighan. Shu waqitta, dunyaning her yéridin kélip istanbuldiki shu sherqiy türkistan qurultiyigha qatnashqan péshqedemler, rehberler, bolupmu seudi erebistandin kelgen mötiwerlirimiz nahayiti xursen bolup ejeb obdan ish qilipsiler dep teqdirligen. Mana bügün öz közüm bilen kördüm. Bu yerge 90 gha yéqin sherqiy türkistanliq ewladlirimiz shenbe künliridin paydilinip kélidiken. Bu yerde biri resmiy programma bilen ana tilimiz, ikkinchisi bizning tariximiz, örp-Adetlirimiz heqqide ders ötüwétiptu. Balilarni körüp men shundaq hayajanlandim. Bu büyük bir ish.Yene biz elwette awstraliyide yashighan ikenmiz, ingliz tilinimu öginishi kérek, bu yerning ilim-Penni yaxshi igilishimiz kérek. Shuning bilen bille, özimizning ana tilimizni, özimizning milliy kimlikimizni yaxshi bilishimiz lazim. Biz özimiz bu yerge kélip tilimizni untup ketsek, özimizning milliy kimlikimizni bilmisek umu bolmaydu. Yash ewladlirimiz bilen körüshtuq, ders ötüwatqan yerni körduq. Nahayiti hayajanlandim. Bu bir yaxshi xizmet, büyük bir ish. Buning ehmiyiti nahayiti büyük, nahayiti chong.Balilar mushu yerde tughulghan iken, uyghurchini shundaq chirayliq sözlewatidu. Uningdin bek hayajanlandim. Mektep mudiri we oqutquchilar bilen körüshtuq. 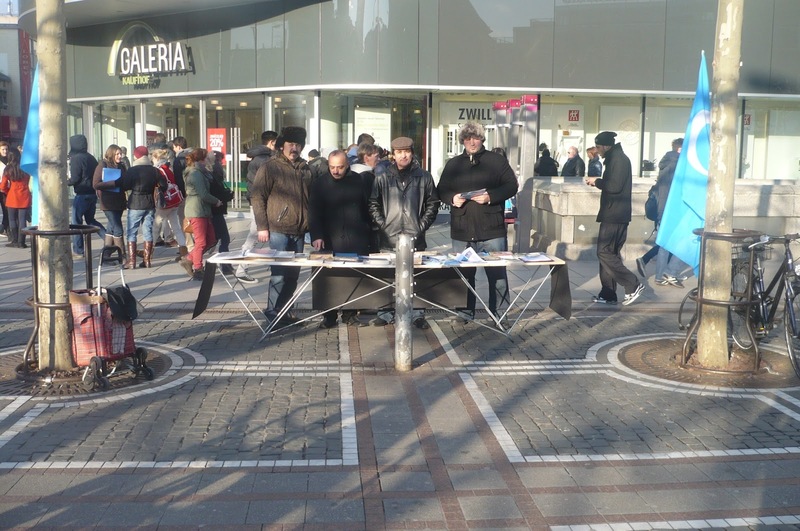 Bulargha özimizning arzu-Tileklirimizni bildürduq. Buningdin kiyin bu mektepke téximu zor muweppeqiyetler tileymen. Men buningdin nahayiti xursen. Hayajan bilen türkiyige qaytimen. Qaytqandin kéyin u yerdiki qérindashlirimizgha mushu awstraliyidiki sherqiy türkistanliqlarning, sherqiy türkistan jemiyitining, bu yerdiki bizning qérindashlirimizning bu yerdiki paaliyetlirini, bolupmu bu mektepning paaliyetlirini, mushu balilarning, mushu yerde özimizning ana tilini, tarixini, örp-Adetlirimizni öginiwatqanliqlirini ularghimu sözlep bérimen. Ularmu nahayiti xursen bolidu inshaalla. Men mushu mektepning mudiri, oqutquchiliri, oqughuchiliri, hemminglargha nahayiti köp rehmet éytimen. Xizmetliringlar téximu muweppeqiyetlik bolsun. Janabi allah yardemchinglar bolsun.»Proféssor doktor sultan mehmut ependi öz sözide yene weten sirtida yashawatqan uyghurlarningmu awstraliyidiki uyghur mektepni ülge qilishini, chetelde yashidim depla özimizning milliy kimlikimizni yoqatsaq bolmaydighanliqini, weten azad bolsa, sherqiy türkistangha xizmet qilalighudek ewladlarning yétiship chiqishini ümid qilidighanliqini bildürdi we yene özning ana tilini, tarixini, medeniyitini, kimlikini, dinini we örp-Adetlirini öginishning muhimliqini yene bir qétim tekitlidi. 2005 – Yili 4 – Ayda turpan wilayitining yar yézisida sirliq bir qutquzush opratsiyisi yüz bergen. Shu küni yar yézisidiki ayshemgul tursunning dadisi we ikki balisi bir qatil teripidin pichaq bilen yarilandurulghan. Saqchilar qanun doxturliri bilen neq meydangha yétip kélip, aldi bilen ayshemgöl tursunni ayrim bir yerge solap qoyghan؛ andin yurt – Jamaetni qorodin heydep chiqirip, ishikni ichidin taqiwélip sirliq bir qutquzush opiratsiiyisi bashlighan. Ayshemgül tursun solanghan jaydin qéchip chiqip, ishiktin marighanda qanun doxturlirining oghlining bedinidin bir parchini élip kichik bir sanduqqa séliwatqanliqini körgen we saqchilarni «oghrilar» dep chuqan salghan. Jamaet qorogha basturup kirip ayshemgülning yarilanghan yene bir qizini saqchilarning qolidin élip qachqan. Eslide ayshemgül saqchilar bilen birlikte neq neydangha yétip kelgende dadisi jan üzüp bolghan, oghli we qizi yaridar halette bolup, saqchilar neq meydanning esli halitini buzuwetmeslik bahaniside ayshemgülni qoshnisining qorosigha solap qoyghan. U solanghan qorodin qéchip chiqip, öz qorosining ishikidin marilighanda, qanun doxturlirining oghlining beden organliridin bir parchini éliwéliwatqinini körgen. U qorosining etrapida oliship turghan mehelle jamaitini balilirini saqchilardin qutquzushqa chaqirghan. Jamaet qorogha basturup kirgende, ayshemgülning dadisining qorsiqining késilgenlikini, oghliningmu qorsiqining késilgenlikini, téxi tikip ölgürülmigenlikini, ayshemgulning qizining bir chette halsirap yatqanliqini körgen؛ jamaet saqchilarni tillap eyiblep, ayshemgülning qizini élip doxturxanigha aparghan. Buning bilen ayshemgülning dadisi we oghli ölgen, qizi qutulup qalghan؛ anisi weqening zerbisidin bir heptidin kéyin hayatidin ayrilghan. Téximu sirliq yéri qutquzushqa kelgen doxturxane aptomobili saqchilar teripidin qayturiwétilgen. Ayshemgulning déyishiche, jesetni yughuchilarmu jesetning qorsaq qismining késik we kemtükliki heqqide ispatname bergen. Hörmetlik radio anglighuchilar, eslide weqening bashlinish nuqtisi bir aile majirasi bolup, ayshemgölning dadisi we ikki balisigha pichaq salghuchi özining ajriship ketken yoldishidur. Xitay qanuni bu qatilgha ölüm jazasi bergen. Emma shunche köp ispat we guwahchilarning bolushigha qarimay, beden organlirining buliwélinghanliqi heqqide bügüngiche héchqandaq délo turghuzmighan. Ayshemgülning erz – Shikayetlirige qulaq salghuchi orunmu chiqmighan. Buningdin 15 yil awal eziz wetinimiz Sherqitürkistanning Ghulja sheheridiki yashlar teshkillinip, Xitay tajawuzchillirining heddidin ashqan érqiy kemsitishi, we kultural qirghinchiliqigha qarshi tinch shekilde namayish élip barghan bolup, Xitaylar teripidin wehshiylerche basturulghanidi. Shu qétimqi basturush sewebidin pütün Sherqitürkistan miqyasida On minglighan kishi siyasiy jehettin jazalanduruldi, ailisi pilanliq we sistimiliq shekilde weyran qilindi we bir qismi wetenni terik étip pütün dunyagha topidek sorulup kétishke mejbur qaldi. Xitaylar shu qétimqi paaliyetke qatnashqan qéhriman qiz-yigitlirimizning mutleq köp qismini qolgha élip, qéhritan qish-soghaqta jins ayrimastin yalingachlap muzdek su chéchish, éliktirik kaltekler bilen dumbalash, tirnaqlirini tartup, chishlirini yulush we su türmillirige tashlashtek qebihiy usullar bilen qiynap öltürüsh we yalghandin iqrar qildurup ömürlük türme jazasi bérish we kolliktip ölüm jazasigha höküm qilish usulliri bilen millitimizge bolghan cheksiz öchmenlikini ipadilep dunya xelqini heyrette qaldurghanidi. Dunya xelqi we millitimiz wetenimizning béshigha kelgen bu tiragédiyeni 15 yildin kéyinmu untup ketkini yoq.Shu qétimqi Ghulja qirghinchiliqi xuddi qap ichidiki bigizdek, xitayning qatmu-qat cheklesh tedbirlirini bösüp chiqip, hür dunyagha tuyulghandin kéyin, xelqara jamaet Xitayning qandaq bir millet ikenlikini, Uyghur we uning qérindashlirining béshigha öz wetinide kéliwatqan dishwarchiliqlarni téximu chüshünip yétip, anche diqqet qilinmay kéliwétilghan bu hadise, pütün dunya miqyasida resmiy shekilde xelqaraliq siyasiy mesele süpitide qarilidighan boldi. Sherqitürkistan xelqi Ghulja weqesi sewebidin nahayiti éghir bedellerni töligen bolsimu, shu qétimqi weqege qatnashqan munnewer perzentlirimizning sewebidin, ularning issiq qéni we hayati bedilige yéngi inawet we salahiyet qazandi.Bu weqe Sherqitürkistan xelqining derdi peqet we peqet insan heqliri we démokratiye derdi bolmastin, eksiche bésiwelinghan bir döletning özining igilik höquqigha ige bolmastin, Sherqitürkistanning yerlik xeliqliri bilen Xitayning ottursidiki munasiwetning hel bolmaydighanliqidin ibaret bir, milliy hem igilik hoquqigha munasiwetlik heqiqetni dunyagha yene bir qétim jakarlidi. Sherqitürkistan Kultur Merkizi Yawropada Sherqitüristan Sürgündiki Hökümitige wekillik qilidighan bir Organ bolush salahiyiti bilen, Ghulja inqilawini xatirlesh, shu qétimqi weqede qurban bolghanlarning ailisidin halehwal sorash, téxiche türmide yétiwatqanlargha sebre tilesh, qurban bolghanlarning rohini shad qilish sewebidin bügün yeni 2012-yili 4.Fewiral küni Gérmaniyening Frankfurt Sheheride paaliyet ötküzüp, Xitay tajawuzchillirining Sherqitürkistanda yürgüziwatqan milliy zulumini bolupmu Ghulja Inqilawiy mezgilide ishligen insanliqqa qarshi jinayi qilmishlirini jamaetchilikke anglatti. Bu paaliyetke teshkilatimizning bir qisim ezaliri aktip qatniship, Sheher ahalisige Sherqitürkistandiki siyasiy meselilerge bolupmu Ghuljidiki 1997-yildiki dunyagha pur ketken qanliq basturushqa alaqidar melumatlarni bérdi. Paaliyet Gérmaniye waqti 14:00 de bashlinip 18:00 de axirlashti.Élip bérilghan paaliyet bashtin axir qiziqquchilarning jiddy diqqitini tartti we tertiplik hem netijilik boldi.